What should you expect at your first/annual wellness exam with your bird? Bringing your bird to an avian veterinarian every year is vital to the long-term health of your pet. Even if your bird appears to be perfectly healthy, there is tremendous value in allowing our doctors and staff to perform a physical exam and to educate you on the best ways to care for your bird. As with humans, yearly exams are the best way to prevent illness and will be significantly less expensive than if you bring your pet in when it is sick. When you come to the hospital, you will be asked to fill out a client registration form and an Avian History Form. This detailed questionnaire helps us understand what the environment is like at home, what the cage is like, how many family members there are, and what you are feeding your bird, etc. This information is invaluable in helping us assess your care at home so that we can make recommendations where they may be needed. We also appreciate photos of the cage and home environment, as this helps us visualize exactly what the set-up is. You will then be escorted into the exam room where the doctor or nurse will review your information and discuss any issues that may be of concern regarding the history. This is also your opportunity to address any medical concerns you may have. At this stage, a staff member will restrain your bird for a physical exam. Sometimes, this can look scary to pet owners who have never brought their bird to the vet before. Often we use a towel, or a paper towel, or sometimes just a gentle hand. Regardless of the restraint device, our entire staff has been trained on the most gentle and non-traumatic methods to restrain pet birds. We make every effort to be slow, gentle, and make the restraint and exam experience fun for birds! The doctor will then perform a thorough physical exam. Eyes, nares (nasal openings), ears, and inside of the mouth: We are looking for any signs of illness that may not be obvious to pet owners, such as plaques or growths in the choanal slit (the back/roof of a parrot’s oral cavity), nasal discharge or blockages, ear swelling or debris, cataracts or papillary abnormalities in the eyes. Skin and feathering: We are looking at the feather quality and any signs of overgrooming, follicular damage or cysts, as well as skin damage such as tumors, growths, or wounds. joints to ensure the bird has complete range of motion. their fingers) the crop, musculature, and coelomic (body) cavity. We are looking for any changes in the crop and to ensure there is adequate food present, body composition to assess if the bird is over or under weight, or abnormal lumps or bumps in the body cavity that may indicate a problem. articulation, and that the toe nails are normal. This may sound like a lot, but we try to do this part quickly in order to minimize the time that the bird needs to be restrained. When the doctor is finished, they will release the bird onto a scale to get an accurate body weight. Next, the doctor will summarize for you what they found on physical exam. We do this to give the bird a chance to rest as well as to discuss any recommendations. If the doctor finds some abnormalities on the physical exam, they will discuss the appropriate tests based on the abnormalities. If the bird has a normal physical exam and there are no signs of illness or problems, the doctor will still most likely recommend some testing, especially if it is the first time the bird has been to the vet. Birds, and most prey species (animals who are naturally hunted), are very adept at hiding signs when they don’t feel well. They often don’t show owners that they are sick until they are very far along in an illness. This is a defense mechanism because in the wild, if these animals appear sick, they will be picked on by the flock and considered easy prey. So they do their best to pretend they feel fine until they are no longer able. So the bird may look normal on physical exam but show severe problems in the blood results. become active during times of stress and immune compromise. (bird, cages, toys, perches, lights, etc…), these tests can help confirm that the bird has not been exposed to a disease which may cause a problem later in life. 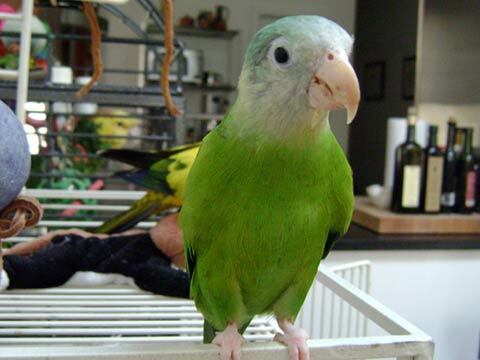 order to ensure the new bird does not infect the existing pet, these tests are necessary. specific diseases in an effort to ensure the boarding is as safe as possible for all of the birds. By having these tests done, you will be able to take comfort that if you need to leave your bird while you are away, you will be able to without a problem. While laboratories have basic “reference ranges” for what is normal for individual species of birds, it is important to know what is normal for a bird as an individual. We can use this information later in life; if the bird becomes ill we will know what its laboratory values were when it was healthy. If you choose to have some testing done, you may choose to be present for the procedure or not. Taking blood samples and swabs from birds is very routine for us. Many clients are scared to have blood taken from their birds having heard or read that taking blood can be stressful and dangerous. We would never pressure a client into doing anything they were not comfortable with; however, it is extremely rare that a healthy bird would die from a blood draw, especially in the hands of a veterinary staff who works exclusively with birds and exotic animals, such as ourselves. We take dozens of samples from birds every week and would not recommend testing if there were reason to be concerned. The procedure involves taking a tiny amount of blood and sending it to a laboratory for evaluation. The majority of tests results are back to us within 48 hours. Finally, either the doctor or a nurse will address concerns regarding the home care of the bird. This will include discussing proper diet, caging, exercise, behavioral issues, bathing, or any other aspect of care that needs to be addressed. This may include them recommending some special diets, vitamin supplements, or behavioral videos to help enhance your bird’s life. Our goal is to educate clients about the best possible way to care for their pet birds in order to prevent them from having to come to us for illnesses or accidents. We would much prefer to see you at an annual wellness exam than on emergency because your bird is not doing well! We hope that this summary has helped to describe what you can expect when you visit our facility with a new bird or for the first time with an older bird. We look forward to being a part of your pet’s extended family!